Hi there, it’s Angie here today sharing a some inspiration for our August “Bright and Beautiful” Challenge at a2z scrapbooking blog! I used some new supplies for this card: Hero Arts Wonderful Stamp and Cut, and Hero Arts Holiday Ornaments Stamp and Cut. I love Hero Arts Stamp and Cut sets because they have a good price and are very versatile. I stamped the ornaments in 3 bright colors of Gina K Designs ink, then added silver glitter pen to the ornament hooks at the top and for the strings, then I added Nuvo glitter drops to each ornament. I die cut the wonderful word from white card stock (I first put Stick It Adhesive on the back), and then I put it on a black border so it would pop off the white card panel more. Then, of course, I got a tiny spot of ink where I didn’t want it – so I pulled out my Tombow Mono Sand Eraser to the rescue! I love that eraser and I use it a LOT!!! The sentiment is from the “Wonderful” set, the 2 borders were cut with a die from Poppy Stamps and the corners at the top were rounded with a corner rounder. Card stock used was from Gina K Designs. Scroll down for links to all the products I used for my card. Categories: Challenges, Christmas, Handmade Cards, Hero Arts | Tags: Brown, Challenge, Christmas, die, Gina K Designs premium white card stock, holiday ornaments stamp and cut, stamp & cut, wonderful stamp & cut | Permalink. Hi everyone, it’s Angie today and I have a fun extra large sized card to share with you today. I used two digital sets for this card: Kitchen Silhouettes and Cooking Fun. Both sets are available exclusively at a2zscrapbooking store! Also now available in the store is Gina K Designs Premium card stock. 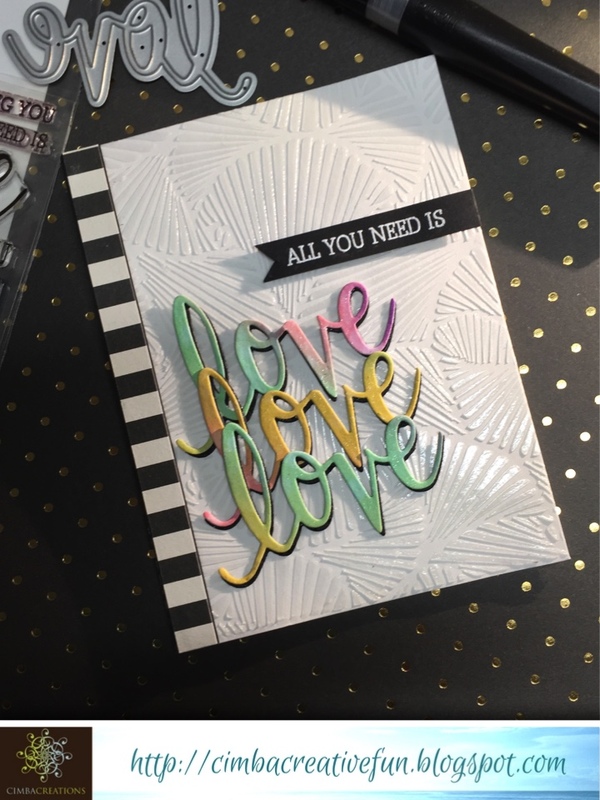 If you haven’t tried this card stock you are missing out! It’s available in the store and it’s 120 lb. weight and just as smooth and creamy as you can possibly imagine! I wanted to make a card with a restaurant gift card inside, so I could write more on the inside since gift card holders are usually too small to write on. 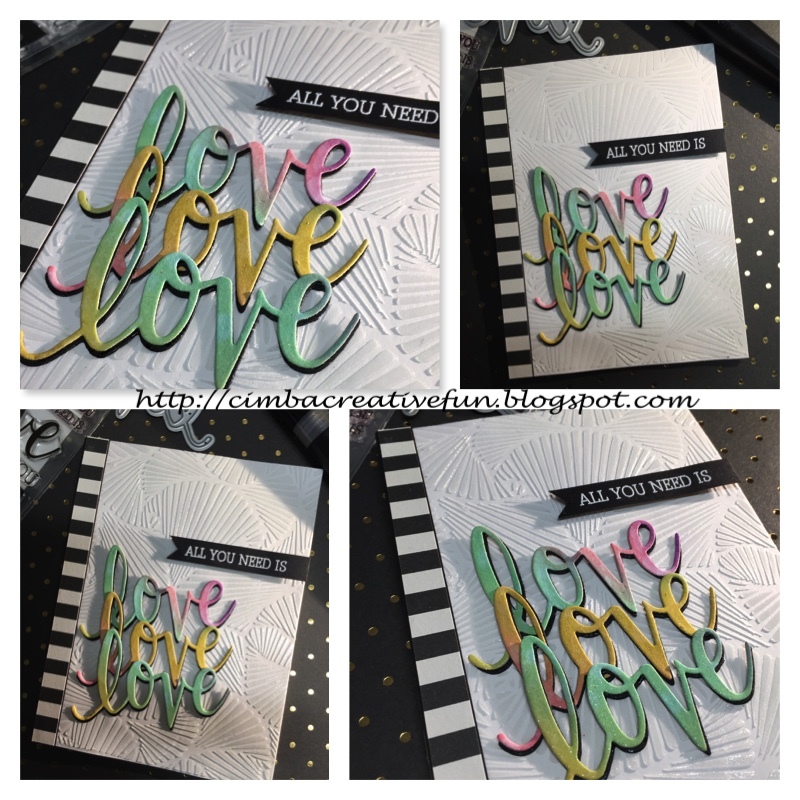 So I used the Thank You stamp set from a Hero Arts Kit – set that also had the add-on gift card die from a Hero Arts kit a few months ago. There was also a die that came with the set. Here’s a link to the Thank You die-cut that matches the stamp set. This card is 6″ by 6″. I put the blue silhouette background digi stamp in MS Word and added the Bon Appetit from the Kitchen Fun set, on top of the background. Then I cut it out with a large square postage stamp die from my stash. I matted it on black card stock, then added it to some patterned paper from my stash. If you scroll down you can see the inside of the card where the gift card holder is and also the matching envelope I made. Since this card was an odd size, I knew I would have to make the envelope to fit it! What a fast card! Digital stamps are especially great when you are in a hurry! I think I will be using these fun cooking/kitchen digital stamps a lot, especially for when I give homemade goodies away, or invite friends over for dinner! Categories: anything goes, Challenges, Digital, Gifts & Gift Wrap, Handmade Cards | Tags: cooking fun, die, envelope, gift, gift card, gift card holder, kitchen silhouettes, oversize card, Patterned Paper | Permalink. I had so much fun making this embellished card! I used the Hero Arts DI181 Paper Layering Daisy die set to cut the flower out of plaid patterned paper, then used the outside die that comes with the set to give the dark brown background under the petals. I used patterned paper from my stash in oranges and browns and yellow to create the layers on this card. The sentiment is a die from the Hero Arts Hello Stamp and Die set DC151 cut from brown card stock and then sparkled up with some Wink of Stella. I used circle and rectangle dies from my stash to cut the layers. I added the layers to a Hero Arts White Card base PS566 and added tons of gems. Some were Hero Arts and other were from my stash. You can find great gems in many colors in the store click HERE! 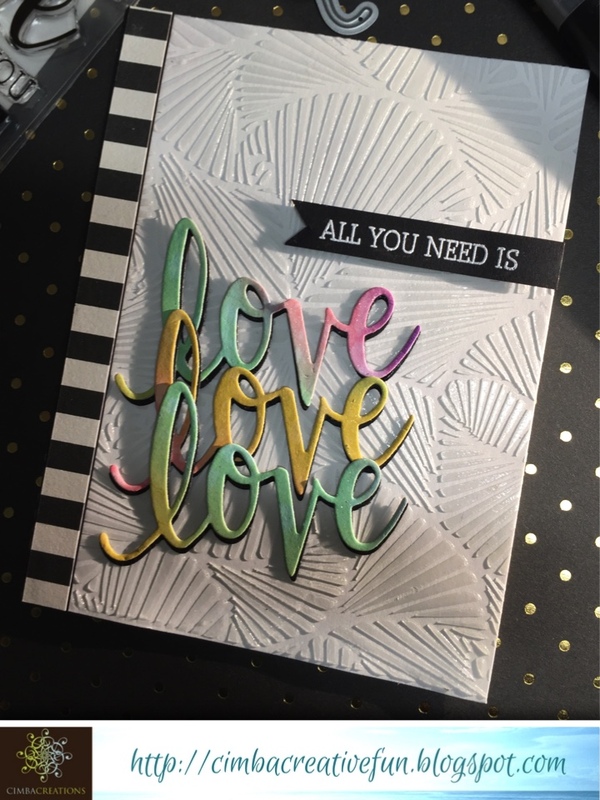 Categories: Challenges, Flowers, Friendship Cards, Handmade Cards | Tags: Angie, Bling, Daisies, design team, die, die cutting, diecuts, embellished, fall colors, Fall/Autumn, gems, Hello, Hello Cards, layering, layers, Paper Layering, paper layering daisy, plaid | Permalink.